While Hawaii has a reputation for luxury, high-end vacationing, activities abound for budget-minded vacationers. Those travelers who want to spend their hard-earned vacation savings on adventures, rather than on lodging and transportation, often find an economy car rental is the way to go. Many first-time and/or thrifty visitors to Hawaii make Honolulu on Oahu their destination. The city is large, yet many tourist destinations are a short drive from Waikiki Beach where some of the most affordable lodging is located. Economy cars are a sound choice for budget-conscious visitors to any Hawaiian island. Most streets and roadways (except Honolulu's freeways) are small and narrow. Easy-to-handle cars can result in less stress when driving in these unfamiliar areas. An economy vehicle will negotiate the tight turns, and lower island speed limits, as capably as any vehicle we offer. Most island cities and towns boast heavy traffic and limited parking. A small car can be a real benefit in these situations. An economy-sized vehicle is easier to turn around, to parallel park, and will fit in tight parking spaces. Also, short hops from place to place don't require luxury seating, large cargo space, or fancy suspension offered in upscale, more expensive vehicles. 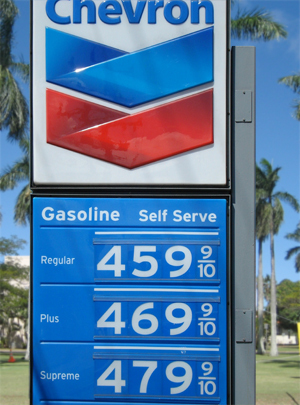 Keep in mind that expensive island gasoline will take you farther in an economy vehicle. Currently we offer Japanese as well as American made models. All of these cars get superior gas mileage to larger vehicles. If maneuverability, mileage and price haven't swayed you to rent one of our economy cars, perhaps a mention of environmental benefits will help with your decision. While superior gas mileage is an environmental advantage of driving an economical vehicle, consider that fewer materials were used to construct each car. Every beneficial choice we make for the planet serves our children and grandchildren. Who doesn't want to protect the beautiful Hawaiian Islands for future generations? Obviously, economy cars aren't for everyone. Should you discover your economy car is not the rental you expected, you can always request an "upgrade" at the counter-- even after you've completed paperwork. Sometimes the unexpected happens. If your grandparents are flying in for your wedding, they might not appreciate riding in the back seat of an economy rental car. If any of your passengers are tall, an economy of space will make for a very uncomfortable ride. This is not a "family sized" vehicle. And, if you have large, bulky luggage, this vehicle isn't for you. Visitors come to Hawaii to see, smell, taste and enjoy all that is unavailable anywhere else. Each tourist has their own budget and wants to stretch their dollars to get the best Hawaiian vacation possible. This is a place of romance, of adventure and of relaxation. For those of you who want to fully experience Hawaii, yet wish to economize on island transportation, we have a rental vehicle to fit your requirements.